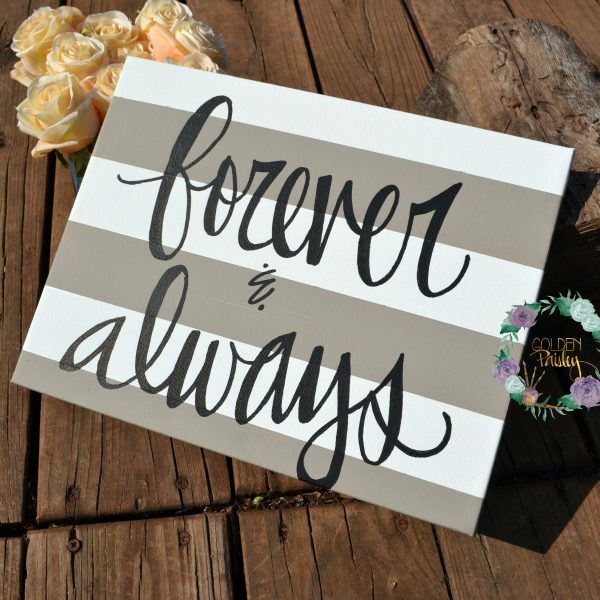 This striped canvas painting features hand painted stripes in a beautiful and trendy “greige” gray and beige combo with black text. 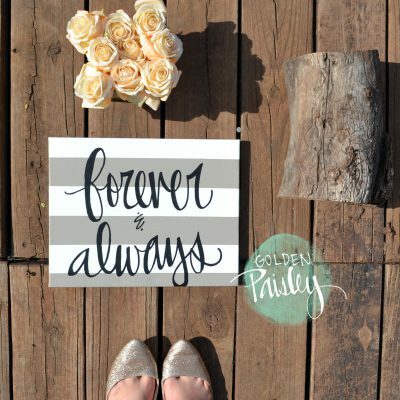 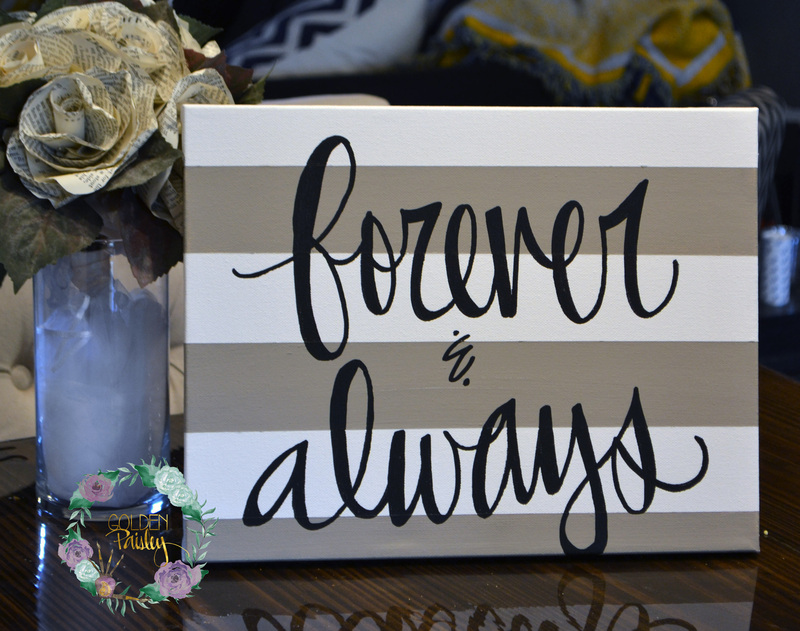 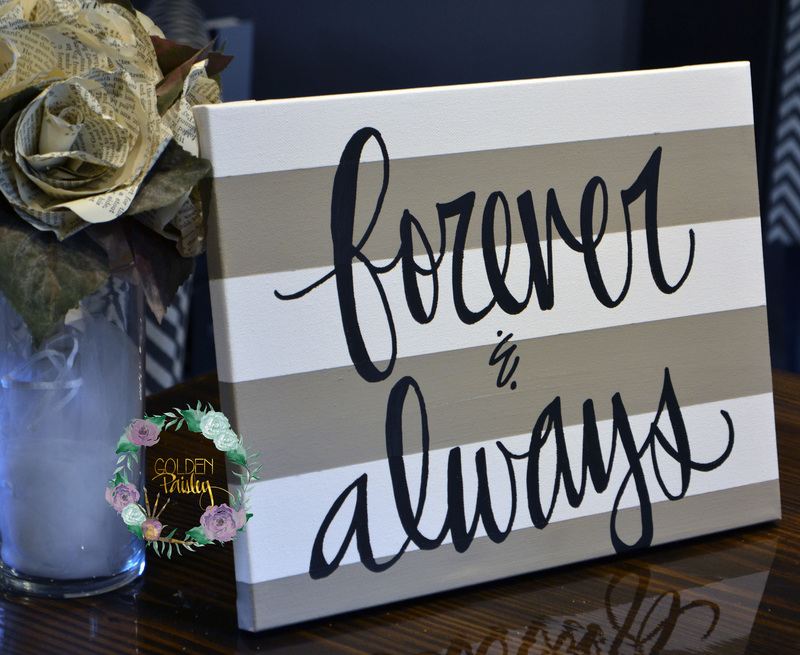 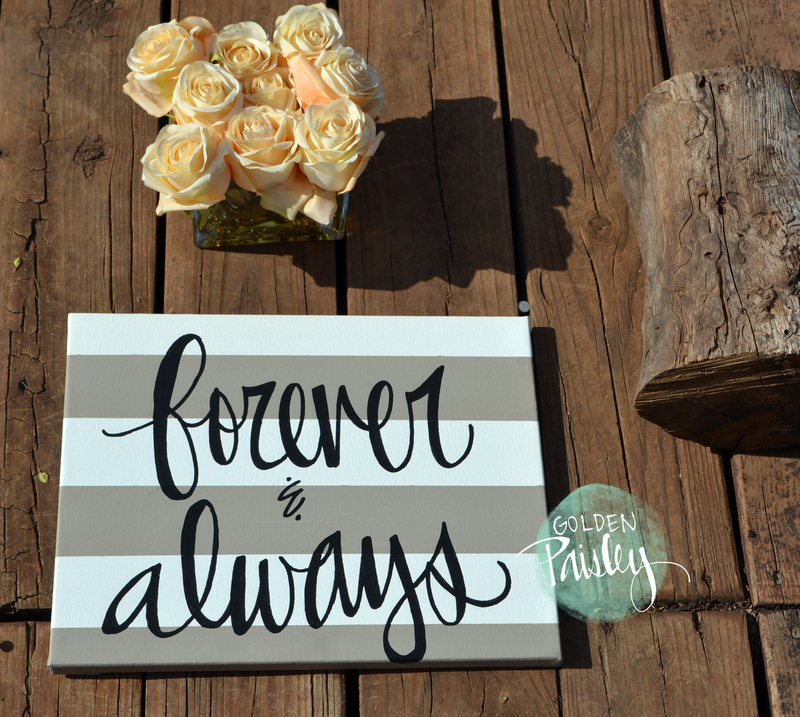 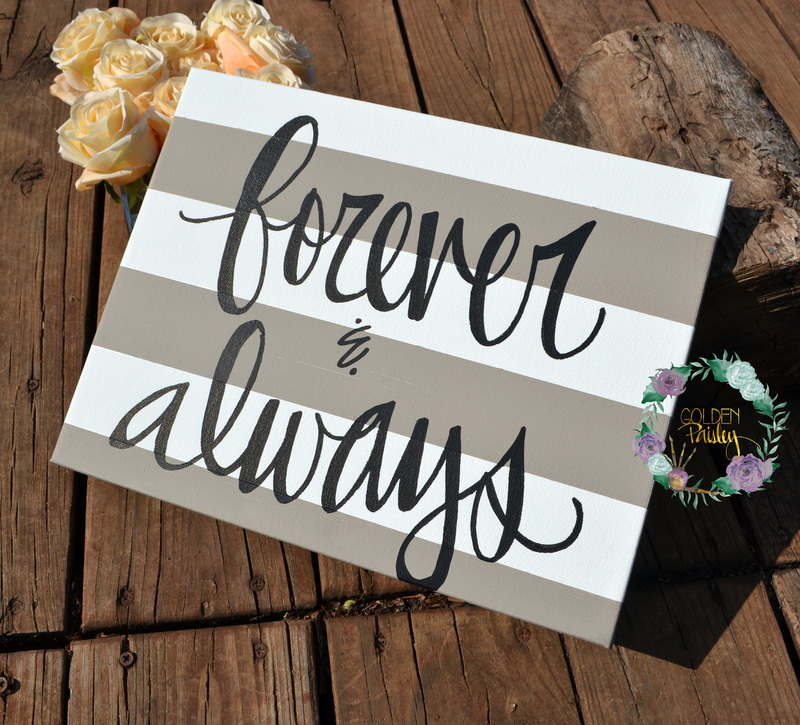 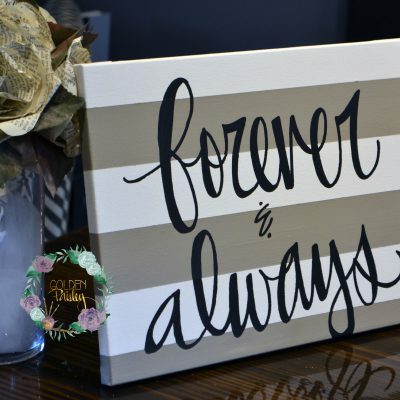 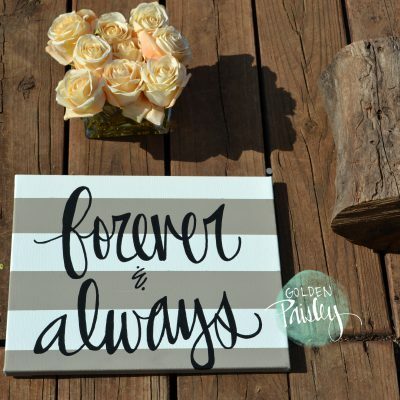 The text features the sweet statement “forever & always” hand painted in my own lettering. 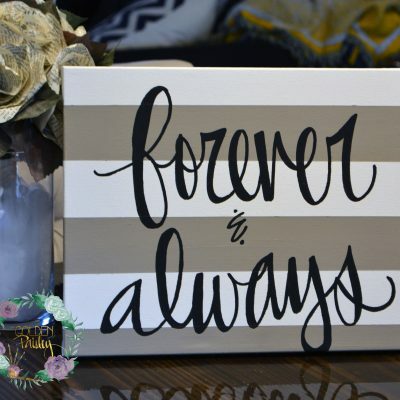 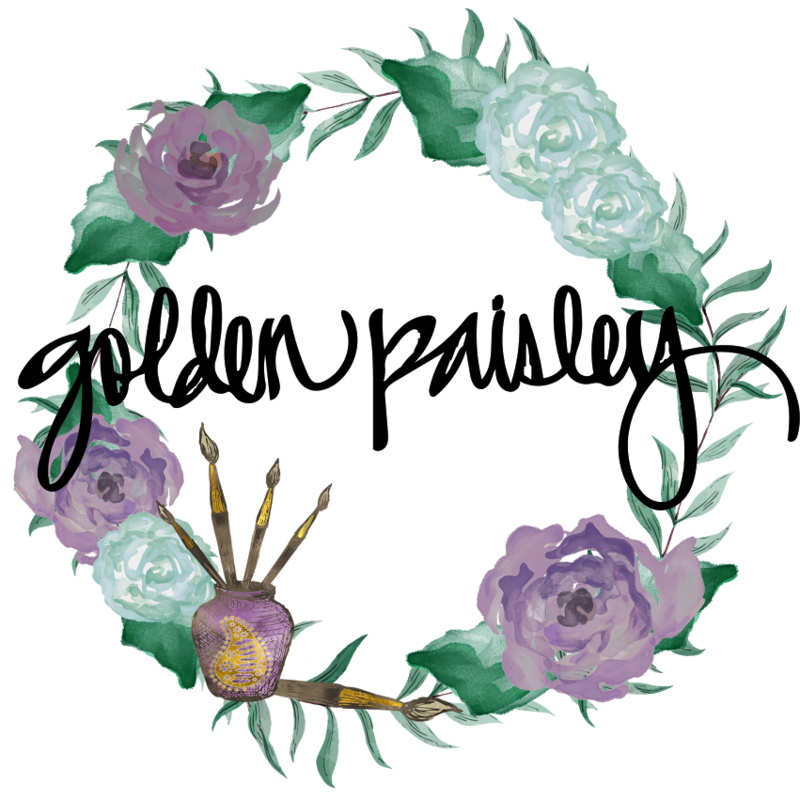 In a small size this would be perfect for a gift, and in a large size it would be great as a neutral but bold feature wall art piece in your home decor.